Edgy, original and hilarious; That's the consensus of his comedy. Bostonian Tom Dustin is the only American to ever win the $25,000 Yuk Yuk's Great Canadian Laugh-off, (resulting in future contests being closed to American comics) USA! USA! USA! He was also the winner of the Sam Adams Comedy Festival. Beer! Beer! Beer! He's done Comedy Central, The Comedy Channel (Canada), local & national radio, podcasts, festivals, and roasts. His recent debut album, Dangerous Now, made it to the top 5 on iTunes and is played often on Sirius satellite radio. 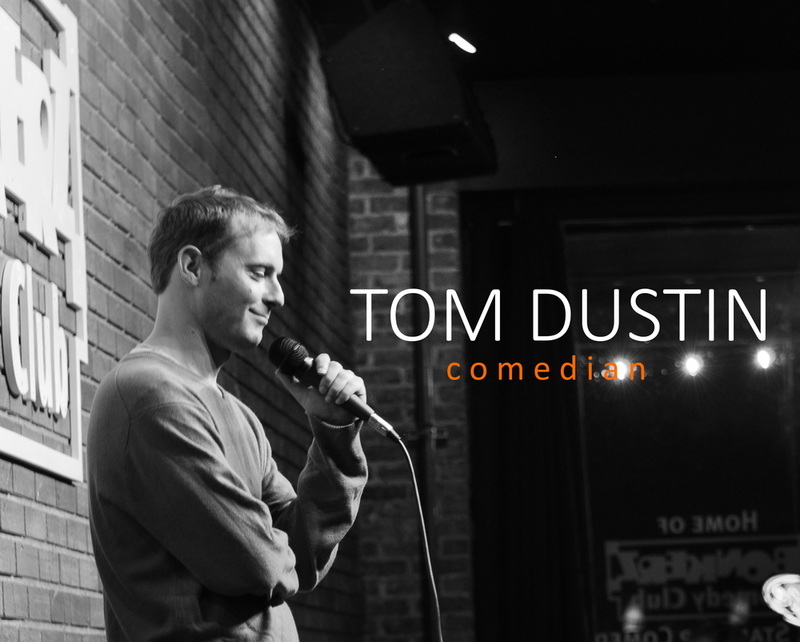 Tom's constantly touring comedy clubs throughout the USA, Canada and Caribbean. When he's not on the road, he's being brilliantly funny at home at the legendary comedy clubs in Boston. "Tom's a true club comic. His live performances are some of the best you'll ever see from a relatively unknown comedian..."
"...If you like your standup comedy a little bit on the dark side, you will laugh loud and often." Tom's album "Dangerous Now" CDs and Download Codes are available for purchase from Tom after shows.